So, I must confess, I have an addition to potato chips. I love how it's thin, crispy, salty and crunches when I take a bite. Now, of course, chips aren't healthy and they rarely have any nutritional value and so it doesn't help the body at all. Over the last few years, I've been trying to find some healthy alternatives to potato chips, that way I can turn my greasy addition into a healthy one. 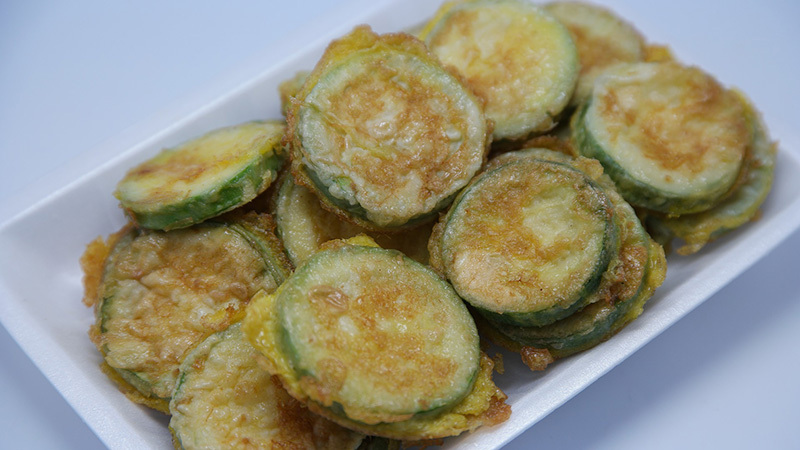 So there are two ways to enjoy zucchini, baked or fried. Yes, the latter tastes great, but with the right ingredients, baked zucchini tastes just as amazing. All you have to do is cut the zucchini into thin slices and sprinkle your choice of seasoning. I typically use lemon pepper for a little kick. Or you can take the slices, dip them in egg yolk, and add breadcrumbs, seasoning and parmesan cheese. You can bake them at 400 degrees for 15-20 mins and viola. This is a popular choice, but I have to say, 9 times out of 10, I have issues cooking kale. Sometimes they turn out too crispy or too soft. But as far as seasoning goes, I typically use sea salt and pepper. Dassit! You can also buy pre-packaged kale chips in the grocery stores if you don't feel like cooking them. When buying pre-packaged chips that are healthy alternatives, make sure to check the nutritional facts first because some of them may be packed with sodium. My two go-to's are Harvest Snaps Black Pepper flavor and Trader Joe's Quinoa and Black Bean Tortilla Chips.